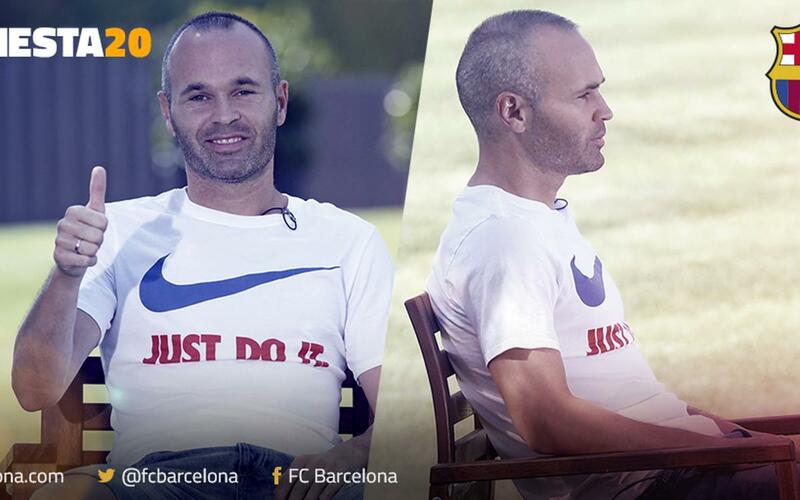 This Thursday, Andrés Iniesta celebrates 20 years since his very first appearance in an FC Barcelona shirt. That moment came on 6 October 1996, just 20 days after he arrived at La Masia. The midfielder joined the U14B team and soon showed his quality as he rose through the youth teams to finally make his debut for the Barça first team. Iniesta has become a role model for the youngsters at la Masia due to the fact that he is the embodiment of the Barça style, an exemplary captain and the player with most honours in the Club’s history together with Leo Messi on 29 trophies. As such, we have decided to put Andrés Iniesta to the test with 20 questions about his time at Barça. How will he get on? Find out in the video above.